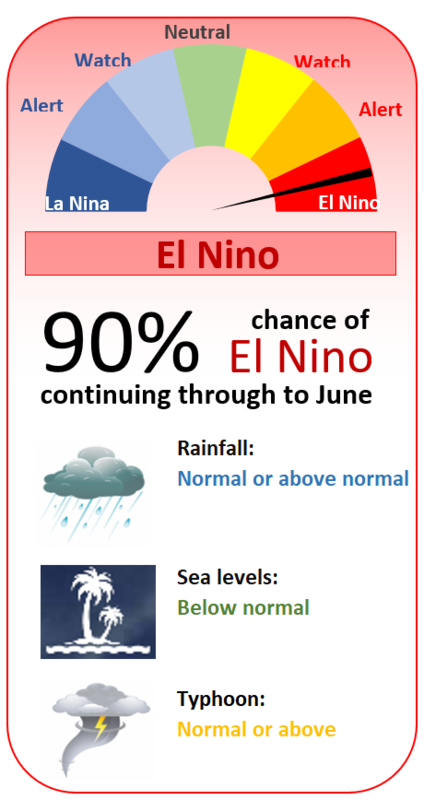 Sea levels are likely to be around normal for the next few months despite weak El Nino conditions beginning to form. Some forecast models are suggesting a slightly higher mean sea level, some slightly lower. During these periods (and possibly the days just before and afterwards) flooding of low lying areas is likely to occur, particularly if larger waves coincide with high tide. Wave overwashing at places such as Paal and Mosral is highly likely.